Need your quilt top quilted? We are happy to arrange a quotation for custom quilting, edge to edge patterns & basting options. Please do not hesitate to email or telephone with any questions/quotation inquiries. Edge to edge quilting from one of the many patterns in our range of patterns is always a popular choice. From $0.025 per square inch, including thread. 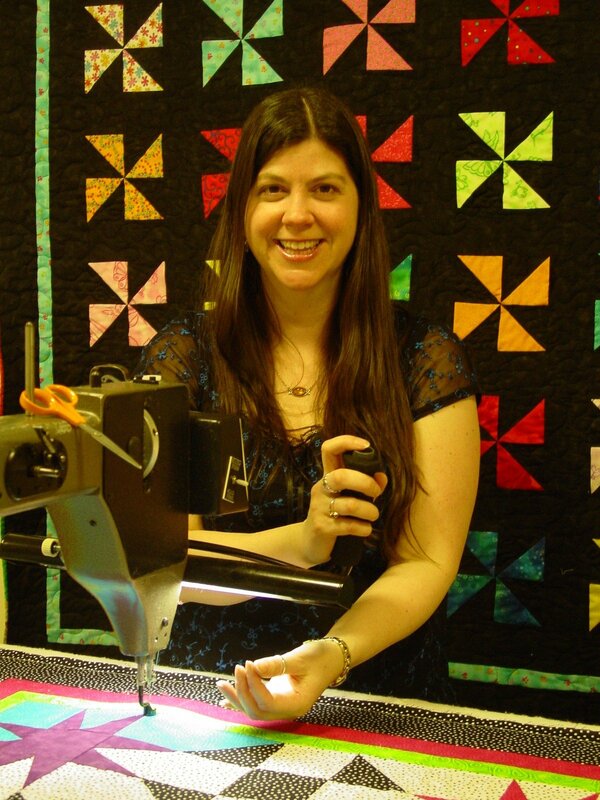 Custom quilting is tailored to client ideals/requests: stippling, feathers and stitch in the ditch are a few examples. From $0.10 per square inch, including thread. These prices are a guide only. Each quilt will be measured and quoted individually. Minimum charge is $40 per quilt. Pricing is based on the size of your quilt in total square inches. To calculate, measure the length and width of your quilt top in inches. Multiply the two measurements to find the total square inches. For example, a 40" x 60" quilt has a total of 2400 square inches. Edge to edge quilting is $0.025 per square inch, so the the quilting comes to 2400 x $0.025, or $60. We also offer a quilt basting service for hand quilters. Layers will be basted with large basting stitches in approximate 4” rows over the quilt top. Basting service from $0.015 per square inch. Minimum charge is $30 per quilt. We stock a wide range of cotton and cotton blend batting. We also have several wide backing fabrics. We are happy to help you choose the right one for you. All quilts to be paid for in full at the time of collection. Average turnaround time is two to four weeks.